Louis C.K. refused to engage with "rumors" linking him to sexual misconduct towards female comedians during an interview at the Toronto film festival to promote his new film I Love You Daddy. In an interview with the New York Times published Monday, C.K. brushed aside questions concerning the long-running rumors that are back under scrutiny with the release of his new film and after comments by fellow comedian and one-time friend Tig Notaro last month. Notaro spoke about the rumors while promoting the second season of her Amazon series One Mississippi last month. “I think it’s important to take care of that, to handle that, because it’s serious to be assaulted. It’s serious to be harassed. It’s serious, it’s serious, it’s serious,” she said in an interview with The Daily Beast. In the second season of her Amazon traumedy, a character (played by Notaro's wife, Stephanie Allynne) is sexually assaulted when her boss masturbates in front of her during a pitch meeting. The scene echoes a similar allegation that has been leveled against C.K. by anonymous comedians that gained further traction after a Roseanne Barr interview in 2016. Notaro told The Hollywood Reporter that she and C.K. haven't spoken in nearly two years, though he remains an executive producer on One Mississippi (the show is produced under C.K. 's FX Productions-based Pig Newton banner) and his name is still credited in each episode's opening credits. Notaro has since said C.K. has nothing to do with the show. Notaro based most of her first season on her own traumatic experiences, which she explored in a legendary stand-up routine, "Hello, I Have Cancer." The Largo set made her an overnight sensation, thanks in part to support from C.K. The comedian tweeted about the set and later sold the recording on his website. But something happened between Notaro and C.K. along the way. "I have not spoken to Louis in probably going on two years now.," she told THR when asking if their dustup over his Saturday Night Live sketch resembling one of her past shorts spurred him to reach out to her. 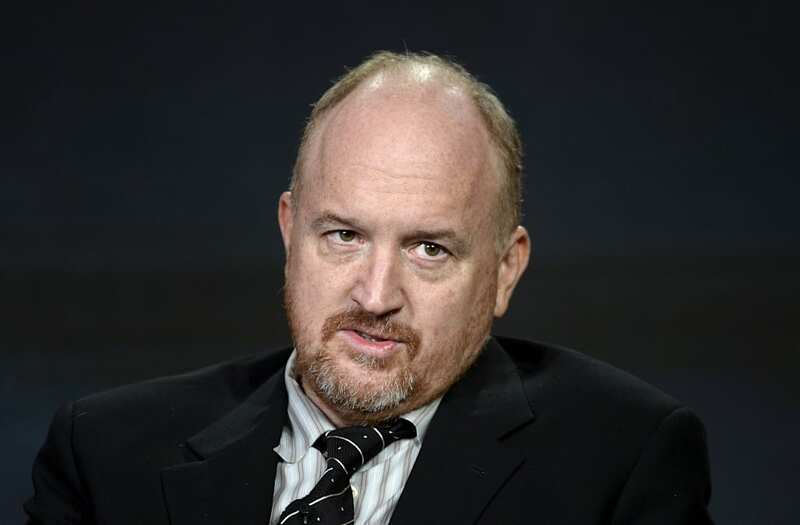 "I will never hear from Louis C.K. again," she said frankly. The creator and star of One Mississippi said that for the second season, however, the stories came from all the writers in the room. "Our entire writers room is all female and everybody had a story of assault or abuse or harassment on so many different levels and it just was one of the themes that we felt was really, really important to show," she explained, adding that the post-election season was only fueled by sexual harassment headlines. "People think all assault or abuse is one particular thing, where there are several shades of it." "I would love a conversation to happen from this," she said. "I would love for people, not to walk around paranoid, but to think twice about what might be going on or what someone might be up to. That it’s not always a cartoon character of an evil villain... It’s funny. People are like, 'Yeah, tell the truth, tell your story!' Sometimes if it’s not the right story, people don’t want to hear that truth. It’s really interesting and fascinating to me." He similarly addressed the allegations in a 2016 interview with Vulture. A rep for C.K. did not respond to THR's initial request for comment.